Baylor School graduates Harris English, Stephen Jaeger, Luke List, and Keith Mitchell have all been garnering local attention in recent months for enjoying some success on the PGA Tour. 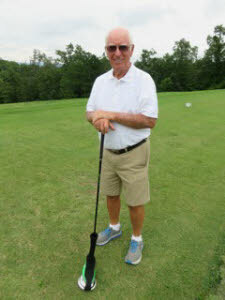 Nearly five decades ago, Gibby Gilbert was not only enjoying success on the PGA Tour, he was also trailblazing as the first person with strong Chattanooga connections to win on pro golf’s biggest stage. He won two individual titles and one team title on the PGA Tour in the 1970s, and nearly won the 1980 Masters. He then went on to capture six tournament victories on the Champions (senior) Tour in the 1990s. It was a good career by any standard, but particularly for someone who admittedly came from somewhat humble origins in Chattanooga and had pretty much a self-made golf game. As the now-retired Mr. Gilbert amicably looked back on his career in an interview last week at the Eagle Bluff Golf Club, he felt grateful that he had enough success to enjoy a roughly 30-year stay on the regular and senior tours. But getting to that point required a lot of work. He said he actually did not start playing the game until age 13, a generally late time for future touring pros. That was about when he moved with his parents, C.L. and Eileen Gilbert, from East Lake to East Brainerd. According to some old city directories, Gibby lived as a child at 3418 Clio Ave. and later 3406 Clio Ave. before the family moved in the 1950s to 409 Brown Road – across from what is now the parking lot of Brown Acres Golf Club. Being closer to the Brainerd Golf Club – the only public course in Chattanooga in the mid-1950s – he started playing there. His father also started playing the game about that time. The elder Mr. Gilbert worked several different jobs while Gibby was growing up. In fact, the old city directories hint of a man who was apparently as ambitious to improve his lot in life through basic work as the younger Mr. Gilbert was as a golfer. When Gibby was very young, the older Mr. Gilbert was a clerk and later meter reader for the Electric Power Board and then became a machine operator for Ernest Holmes wrecker company. For a brief period, he was apparently still working for Ernest Holmes when he began operating his first service station, the Burnette and Gilbert Texaco. It was at 2409 Rossville Blvd. on what is now the downtown side of the interstate. The building is apparently no longer there and has been taken over by Mosteller’s garage and wrecker facility. Shortly before moving to Florida, he operated Spring Creek Gulf service station at 5506 Brainerd Road. It has also been razed, and a now-closed Eyear 1-Hour optical facility sits at the site. While his father was improving his situation, Gibby was working hard on golf. Simply by learning the game on his own, he got where he could shoot in the 70s by the time he was at Central High School. Like many of those who would go on to become pros during that time period, he had his own homemade swing. It was a sharp contrast to today, when most of the American tour pros have been able to develop perfect-looking and similar swings through years of professional lessons. By the time Mr. Gilbert graduated from Central, when it was on Dodds Avenue near McCallie School, he was the No. 1 player on the team. His golf coach was Stan Farmer, the popular Central assistant football coach. He then played on the golf team at the University of Chattanooga for a couple of years under another golf coach who was primarily interested in football – Joe Geri. Coach Geri had been a former Georgia Bulldog football star, and was a longtime football assistant coach for the Mocs. Mr. Gilbert’s time at UC was highlighted in 1961 when he won the Tennessee Intercollegiate championship at the Chattanooga Golf and Country Club, where the Mocs also played regularly. His father had also joined the now-closed Rivermont club off Hixson Pike and bought his son a year-long membership there about the time he and Gibby’s mother moved to Hollywood, Fla., in 1961. A later address before the family relocated to Florida was 817 Lindsay Ave. farther out in East Brainerd near Graysville Road. All the former Gilbert family homes are apparently still standing. Gibby had married in 1961 and also moved about that time, too, to Florida, where the weather would be more favorable to developing his golf game. A few years later, he married his current wife, Judy. 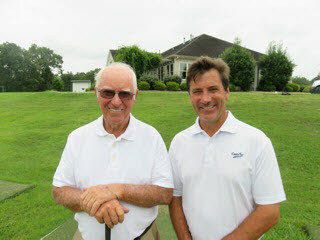 His seriousness toward the sport was not influenced as much by his father as by another man: Arnold Palmer. About the time Mr. Gilbert was enrolling at UC, he saw that the charismatic and popular Mr. Palmer had made more than $100,000 one year as a touring professional, and Mr. Gilbert obviously took note. “I said, ‘Shoot, that’s what I want to do,’ ” he recalled. After moving to Florida in the early 1960s, Mr. Gilbert worked opening and closing his father’s gas station in Southeast Florida every day and pumping gas for $1 an hour. In between those two shifts, he ran his own bodily tank down by spending much time and energy in a field in the area simply practicing his golf game and shots. But all the work helped replenish his emotional energy toward looking at a possible future as a touring pro. 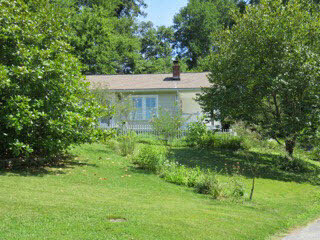 The plot of land – which he said has since been developed -- became like his field of dreams. “Whatever game I had, that’s where I came up with it,” he said. He could not afford to play a whole lot at golf courses, but did when he could, he said. He turned pro in 1963, and in 1965 began working as an assistant pro at the new Hillcrest Country Club in Hollywood. The work also allowed him to continue to play and develop his golf game more. In 1967, he went to the PGA Tour’s second-ever qualifying school in West Palm Beach, Fla., and finished second. That was the break for which he had been waiting. He continued to work at the club, which in recent months has closed, but would take leaves of absences during the slower summer seasons from 1967-69 to play regularly on the tour. In May 1970, he finally received his big break. He birdied the last hole during the Houston Champions International at the Champions Golf Club and then beat accomplished golfer Bruce Crampton in a playoff to win his first PGA tournament. He won $23,000, far less than the $1.26 million Ian Poulter won in 2018 in the Houston PGA tournament at another course. But for the then 29-year-old Mr. Gilbert at the time, the feeling after winning was total joy and satisfaction. “I had never even been in position to win,” he said. “It was shocking to me. Better yet was the emotional feeling that stayed of belonging on the tour. “When you finally win, it gives you a ton of confidence,” he added. Mr. Gilbert as a golfer was almost like the equivalent of a track decathlete in that he might not have been spectacular at one individual aspect of his game like some golfers, but he was strong in all areas, including the all-important putting. After winning at Houston, Mr. Gilbert said he was able to concentrate strictly on golf and did not need to work any side jobs or even worry about having to go to the yearly qualifying school again. He went on to win the 1976 Danny Thomas Memphis Classic at the Colonial Country Club, and then teamed with Grier Jones to win the 1977 Walt Disney World National Team Championship. Mr. Jones was one of his close friends on the tour, he said, along with J.C. Snead, Jerry Heard, Jimmy Powell and a number of others. He said several of the tour players would often go out to eat at restaurants while at tournaments, but one who did not was Lee Trevino. The reason, Mr. Gilbert said, was that the charismatic and outgoing Mr. Trevino was such a fan favorite that he knew he would constantly be hounded by fans. As a result, he would usually send his caddy out to bring him back some food, Mr. Gilbert said. Mr. Gilbert also thinks another contemporary – Jack Nicklaus – is the greatest golfer ever. While he has great respect for Tiger Woods’ accomplishments as a golfer, he thinks Mr. Nicklaus was better because he had so many second-place finishes in major tournaments, too. Mr. Gilbert also had a second in a major in the 1980 Masters – just a few months after finishing tied for fifth at the 1979 PGA Championship. At the Masters, eventual winner Seve Ballesteros had a big lead with nine holes to play but faltered slightly on the back nine, while Mr. Gilbert birdied four holes on that side to tie for second. Mr. Gilbert did receive plaques for having the low rounds of 68 and 67 on Saturday and Sunday, respectively, that year, he said. In 1982, Mr. Gilbert quit playing as regularly on the tour and started spending part of his time operating the Brainerd Golf Course. But about the early 1990s when some reconstruction work was being done, he began gearing up for the Champions Tour for those 50 and older. And he actually enjoyed even more success on that tour, winning six times from 1992-97, including three victories in 1992. He said getting to play again on the senior tour with the same people he had previously competed against was fun. “I feel like I lived two lives on the tour,” he said. These days, he is mostly retired and enjoys his home in Ooltewah. He fills in for his son some at Eagle Bluff when Gibby Gilbert III is trying his hand on the Champions Tour, and he also helps his daughter, Melissa Cain, with her and husband Josh Cain’s wedding and event venue, The Gray Dove, in Ooltewah. Josh Cain was a former UTC football standout, who played for the Chicago Bears. Mr. Gilbert said he does not try to play in any more tournaments these days simply because age has affected his game, as he said it has for most of his contemporaries. But the good fortune he once enjoyed of getting to play on level with the game’s immortals is an experience he will never forget, he added. To hear Gibby Gilbert briefly discuss the highlights of his golfing career, listen here.